The cost of a trip to the doctor for your 6-month or yearly checkup should tell you that you need health insurance. If you have an accident or find yourself fighting a serious illness, your costs will escalate, and sometimes with a financial impact that can affect your entire life. So, don’t put yourself or family at risk when the price of health coverage is now more affordable than ever… when you do it right! From simple preventive and prescription drug insurance to plans that protect you from devastating major illnesses and extended hospitalization, we offer prices at a fraction of traditional health insurance plans. These plans are not insurance but (non-specific) faith-based health coverage that meets the Affordable Care Act/Individual Mandate requirements. If continuously covered, there is no Affordable Care Act tax penalty. Anthem Blue Cross/Blue Shield, and ConnectiCare provide Affordable Care Act / ObamaCare Plans in Connecticut. Our healthcare shared plans are available 12 months of the year and can be combined with ObamaCare or employee plans to fit your family’s specific needs. 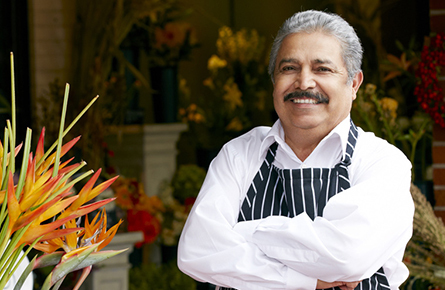 You and the employees at your small business can have insurance coverage with our help. We offer more ACA MEC qualified options such as the Elite Series – Major Medical. There is no strict open enrollment period. Enroll anytime all year long. Elite Series Major Medical health insurance plans are a union-based plan requiring that the main policyholder is employed. Preexisting health condition questions must also be answered and qualification for coverage is determined after evaluation of the application. We provide major medical coverage for small businesses utilizing the Cigna PPO Provider List. Our Hospital Indemnity coverage from GTL Life is designed to pay cash to help offset expenses that occur after you are admitted to the hospital. The plan can pay lump sums and daily amounts directly to you to use in any way and for anything you want. Contact us for more information about our indemnity plans. It is natural to take for granted good health. That is why the sudden introduction of a critical illness to our lives all too often can be truly overwhelming financially on top of the pain and emotional devastation that we've come to expect. To better prepare for the unexpected cost of these natural but dreaded events we offer critical illness-related coverage. These plans generally make much-needed cash payouts to you directly for expenses that are common when these illnesses strike, yet because of their unexpected nature, frequently we are caught unprepared! Call or email us to learn how to better prepare for an accident or critical illness. These plans could be a lower cost option for people who do not qualify for an Affordable Care Act Advanced Premium Tax Credit (APTC). They are approved for sale in Connecticut by the state Department of Insurance. Just remember, the ACA-Individual Mandate will still apply; however, Affordable Care Act coverage rules will not apply, and the plans run for less than a year. Be sure to read and understand the differences before you apply. As always, feel free to call us with any questions. Sometimes you need health insurance for a short period of time. For instance, until your new job insurance plan takes over, to save money instead of paying for more expensive COBRA, or perhaps just until your senior medical coverage kicks in. If you missed open enrollment and still need medical insurance coverage, short-term health coverage may be the answer for you. IMPORTANT NOTE: THIS INSURANCE DOES NOT RELIEVE YOU OF YOUR PPACA "AFFORDABLE CARE ACT" "INDIVIDUAL MANDATE" RESPONSIBILITIES OR PENALTIES.